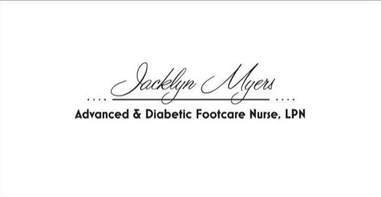 My name is Jacklyn Myers and I’m a Licensed Practical Nurse specializing in foot care. I graduated in 2014 and I’ve worked in a variety of areas including rehabilitation, emergency and in physicians offices to name a few. During my time as an LPN I’ve seen first hand how important taking care of our feet really is, and I feel Eastern PEI deserves the same access to this service as other areas of PEI. This is a big part of the reason I’ve taken chosen to take my nursing career in this direction. I look forward to being able to serve my customers and remember...put your feet first.